It is a sad fact that you can’t trust everyone and, if you leave doors unlocked or houses unsecured, eventually someone is going to walk right in and do some damage. Hulk Security Systems is a leader in professional security systems and installation. We service NYC with the highest standards and the best quality products in the industry. Business and residential security services are our specialty. Every member of our friendly staff is professionally trained in all aspects of security systems. From small businesses to large buildings, we offer innovative security solutions to fit any structure and all levels of security. It is dangerous to live in a home without strong locks on the doors and ideally a fully functional alarm system rather than just a sticker on the window. We tailor our security services in New York to individual requirements and fully guarantee your satisfaction. We install premium security systems in Manhattan, Brooklyn, Queens, Bronx and Staten Island, extending to a wide range of different zip codes. Visit our website for more detailed lists of zip codes that we deliver outstanding NYC security services to. Feel safe again in your home, knowing that your belongings are always secure and personal safety is assured. Keep your business safe from burglars and other unwelcome visitors. 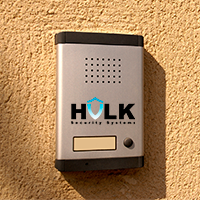 For all of your security needs make Hulk Security Systems your first choice.